The Baller, the Baller! Tradition! As part of a proud Fortnite Battle Royale tradition stretching back for what feels like decades, the Baller was temporarily disabled today while Epic investigated an issue. It was re-enabled just two hours later, which is the shortest amount of time that any troublesome movement mechanic has taken to return to the live servers. 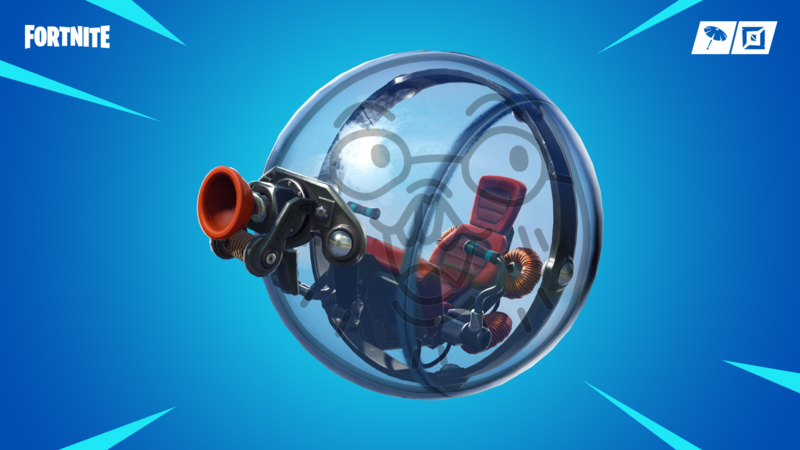 Ballers join shopping carts, golf karts, rifts, and shadow stones as the latest recruits of the "Has Been Temporarily Disabled" Club™, over which the shopping cart has supreme authority. "We wanted to test a theory about a frequent crash (GPU hang so we don’t get good debug information) that we thought was loosely correlated with the Baller," said Battle Royale engineer u/DanDaDaDanDan. "It still happens without the Baller though :-/." Epic has yet to state definitively if this all has to do with the ongoing mobile issues that've plagued Season 8, but we find that extremely likely. Development's attention has now turned to voice chat as a potential culprit for crashes and other stability errors affecting mobile platforms. Since the Baller is the only member of the "Has Been Temporarily Disabled" Club™ that didn't enable some kind of terrain glitch or game-breaking exploit, we expect the shopping cart and golf kart to issue a joint statement shortly, which will condemn the Baller's inclusion in their exclusive organization.